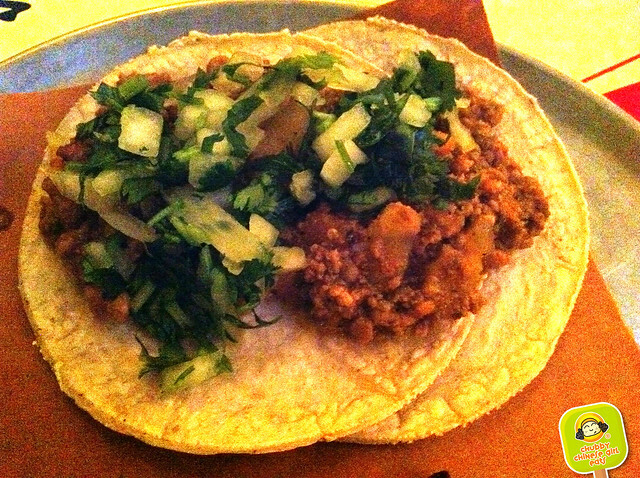 Let me start by saying that I’m a big fan of Aaron Sanchez, and I was really hoping Tacombi could be my go to spot for tacos. 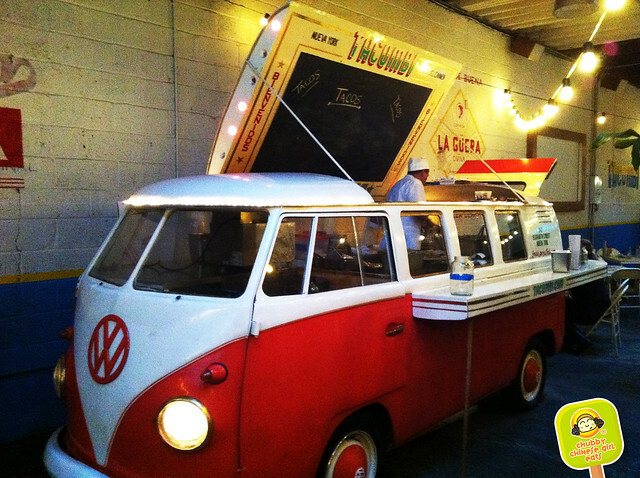 With such a whimsical VW Combi (hence the clever name!) in the middle of the casual/warehouse setting, it’s hard not to fall in love at first sight. Unfortunately I can’t go on gushing about the food or price. I couldn’t wait! Yo quiero tacos and horchata! 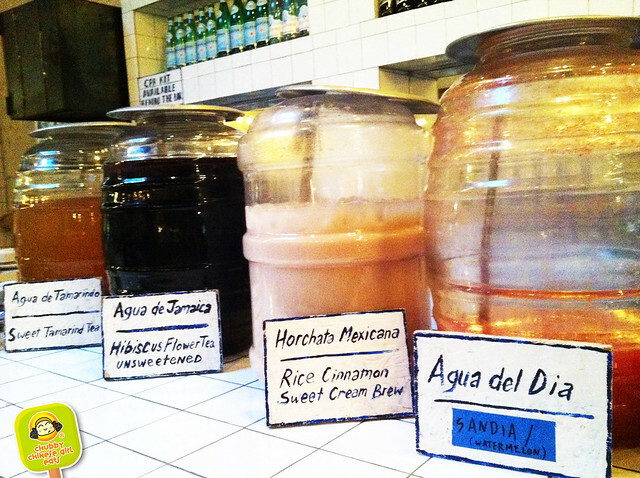 Horchata ($2.76) was decent, but it also tastes a bit watered down. 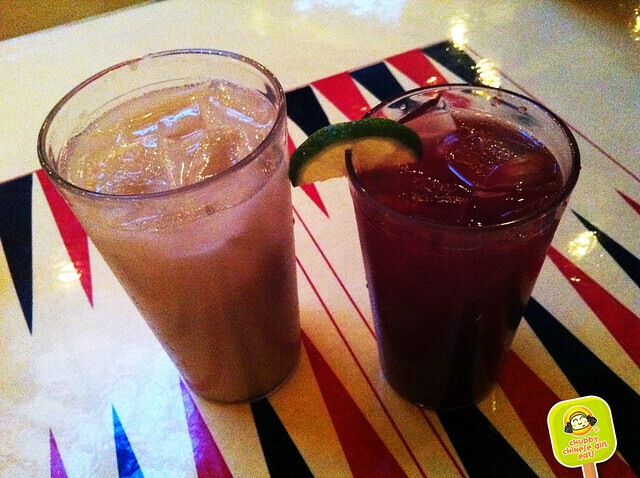 I’ve had way better horchata and agua fresca at Pampano Taqueria. Sangria ($8.27) was really one of the worst sangrias I’ve ever had. I know it’s not made with the best red wine in general, but this one had that flavor of fruit gone bad. Now to the tacos. Don’t get me wrong, I’m willing to pay a little extra for good food. But given that the ambiance suggested a casual bite, the check didn’t exactly match that, nor did the flavors. 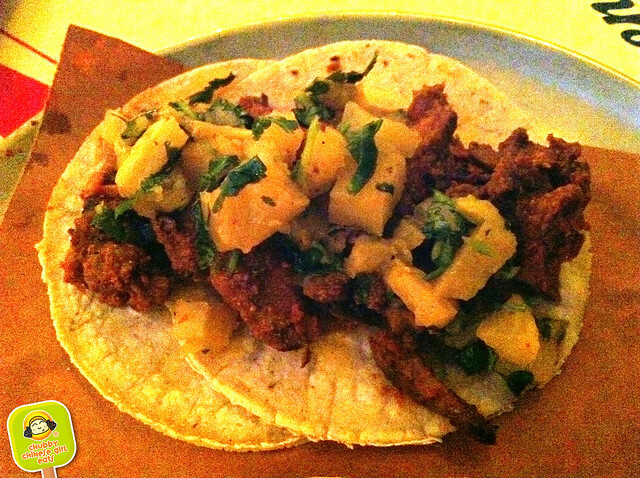 AL PASTOR ($4.14 each) the flavors were ok, but didn’t really stand out, though one of the best out of the bunch.The tortillas lacked strength to hold the ingredients, though they were soft and had that sweet corn aroma. BEEF PICADILLO ($3.67 each) was a stewed ground beef and potato, it sorta reminded me of a fancy Hamburger Helper, topped with onions and cilantro. I did like the smokey chipotle flavors. SEARED VERACRUZANA FISH ($4.14 each) The fish was quite moist and tender. The roasted tomato, capers and olive salsa was quite good, but not $4 bucks each kinda good, nahmean? PESCADO A LA PANCHA ($4.14 each) was a very simply prepared fillet. Fresh pineapple salsa and avocado. Solid, but again, I’m not too loco about the price. 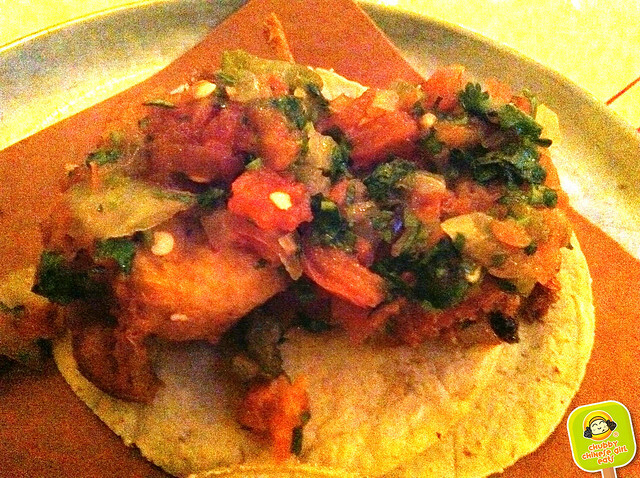 CRISPY SHRIMP ($5.51 each) had beer battered shrimp in a spicy salsa. It’s fried, so of course it was good. But are we smoking something here? $5.51 for single taco?! 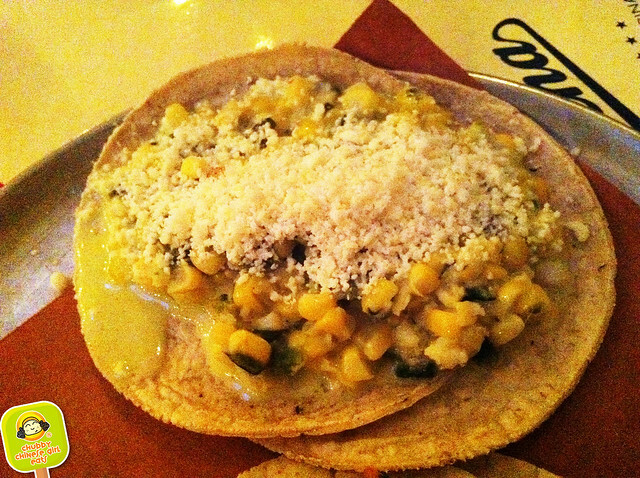 MAIZ Y POBLANO ($3.67 each) seared corn, poblano peppers and cotijo cheese. Basically, my beloved elote on a tortilla. The problem was, this was very very wet and the kernels didn’t have that smokey kissed by fire flavor. 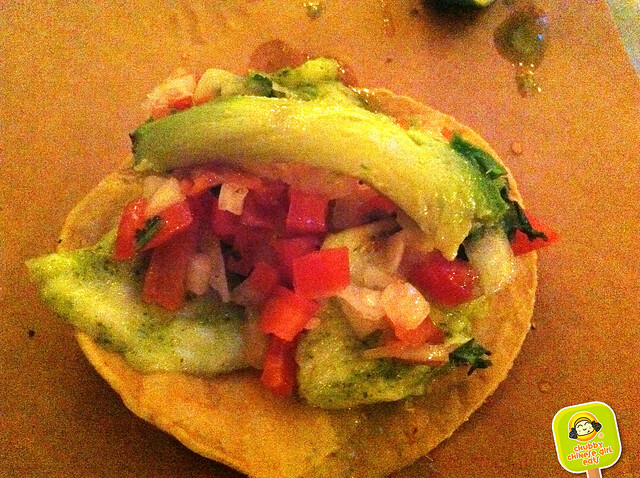 We had to stop by Cafe Habana to get our Mexican corn fix afterwards, no joke! I even make a better corn at home (RECIPE HERE). 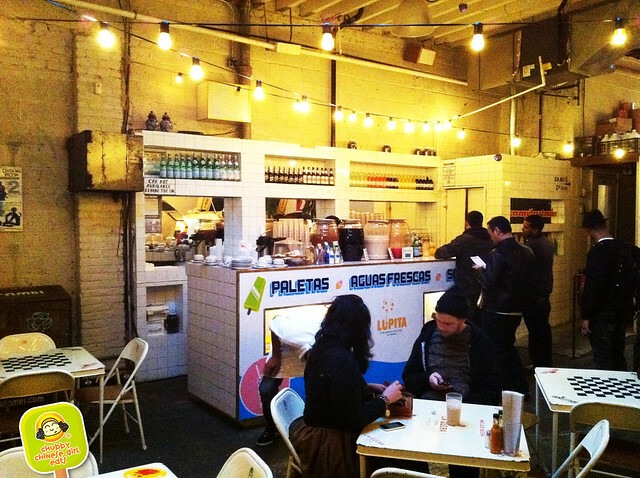 Overall, the tacos and price just didn’t go match up, if the prices were lower, maybe it would be a good and casual quick bite kinda place. Plus I always feel like something is missing when a taco place doesn’t offer Lengua aka Beef Tongue (one of my favorites). 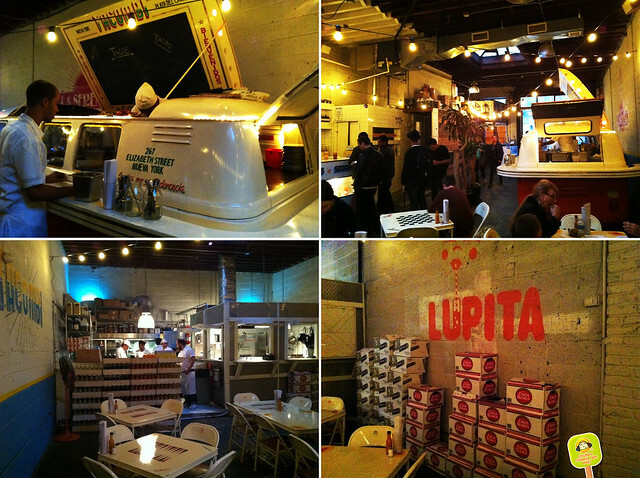 I’d rather stick to La Esquina if I’m in the area, where tacos are about $3.50 on average. 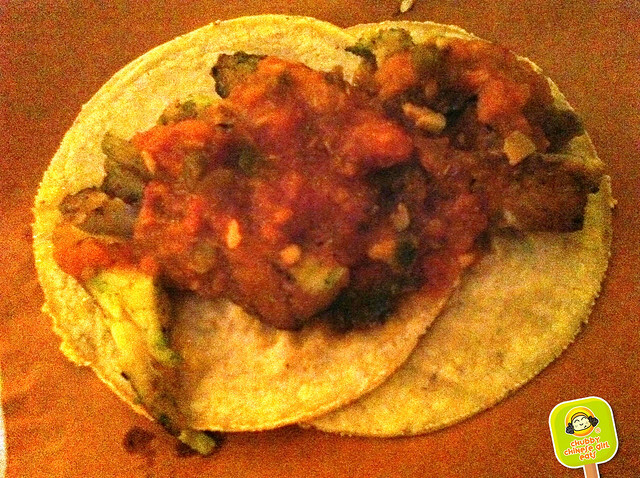 We spend a lot of time on Mott Street in NoLita and we haven’t made it to Tacombi. The decor does look very interesting. It’s unfortunate that the food isn’t as good as the ambiance. Maybe we’ll give it a try anyways. No spot in NoLita has let us down yet!